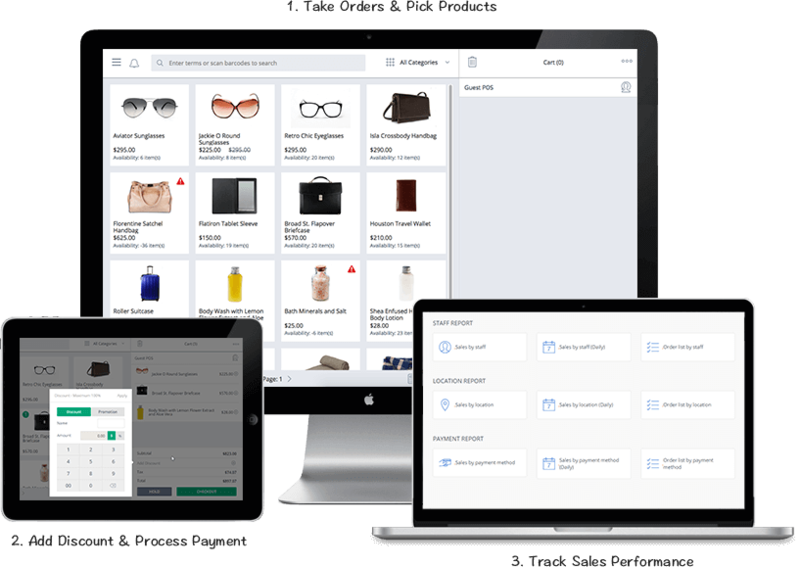 Magento point of sales system webpos helps visualize checkout process with product thumbnail images and a front-end look-alike screens. With a responsive design, it also fits on any tablets, which helps you easily create orders on the go. The user-friendly interface allows your sale staff to get used to Web POS quickly. Scan barcode to quickly & accurately add products to cart. 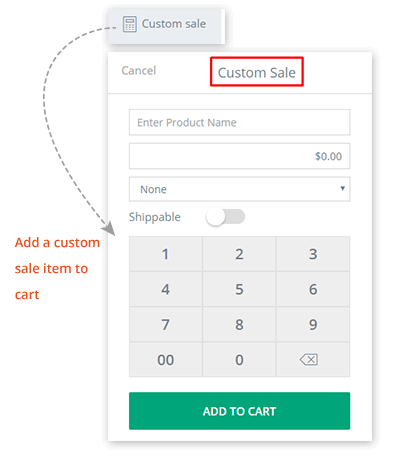 You can filter products in seconds just by entering attributes such as name, skus, manufacturers, price, color, etc,… Even with a new arrival item that has not existed in the system, Magento POS software lets you check out that custom sale item in 1 click. Magento Web POS allows to checkout as a guest or registered customer. 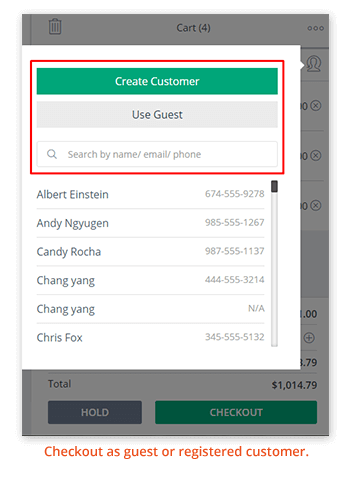 You can search for any customer information (name, email, contact,…) to quickly create orders. Magento Web POS can put orders on hold – with no time limit – until your customers are ready to make their purchases. You can convert more sales with flexible discount offers. 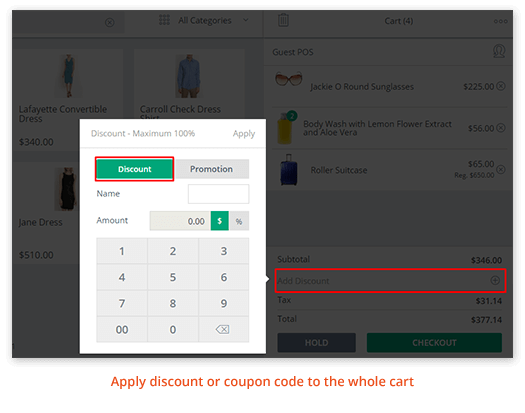 Magento POS allows your staff to apply discount by percentage, fixed amount or custom price. If you are looking for a seamless online-offline experience for your customers, Web POS is your right choice, for online coupon code can be used to checkout offline. 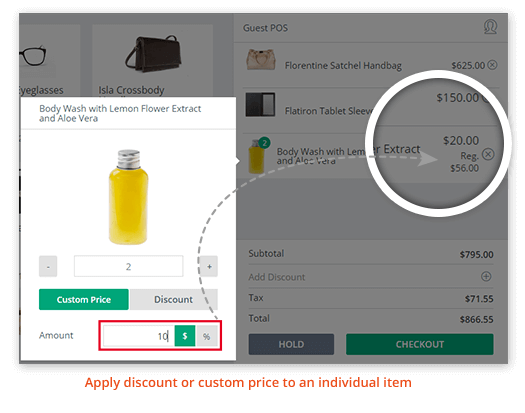 Make discounts for a specific product or for the whole cart and close more sales.